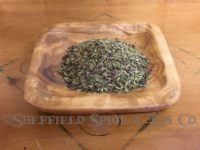 Categories: Spices, Blends, Rubs & Mixes, Indian, Asian & Southeast Asian Spices & Herbs, BBQ Rubs & Seasonings, Beef, Chicken & Fowl, Fish & Seafood, Pork. Korean BBQ Rub isn’t just for making Korean BBQ recipes, like Kalbi, also known as Galbi or Korean BBQ Ribs. 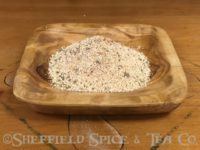 The sweetness of the brown and maple sugars give it a traditional BBQ Rub flavor found in other Rib, Beef or Chicken Rubs. The Orange Peel gives it a citrusy touch, and the Soy Sauce Powder adds an umami quality. Gochugaru or Gochu, a Korean Chile Pepper, is also a key ingredient, adding a mild chile flavor. The other ingredients add traditional Korean flavors to the blend. Use our Korean BBQ Rub in your Korean BBQ recipes. 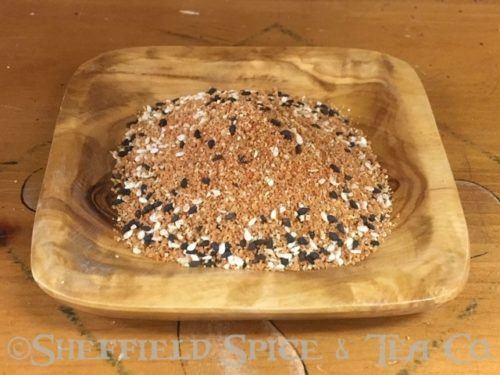 You can also use it in place of other BBQ rubs for your traditional BBQ recipes, like pulled pork, beef brisket, chicken and even grilled seafood. The additional ingredients will give your BBQ a bit of a citrusy flavor, while the Gochu chile pepper won’t add the heat found in some rubs using cayenne or other hot chile powders. But you can always add a bit of the hotter chile pepper if you want to kick up the spiciness a bit. 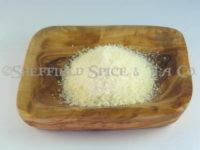 To use as a rub, use about 1 tablespoon per pound of meat. Rub in well, cover and refrigerate for 2 or more hours to allow the flavors to develop. Use in your favorite BBQ marinade for a flavor twist. As a traditional marinade, use 1/4 Cup for 1 to 2 pounds of meat, along with 1/4 Cup of Water, allowing to saturate the rub, before adding 2 tablespoons of oil. Marinate for as long as your recipe calls. 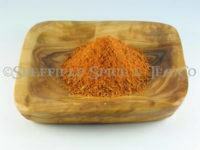 Korean BBQ Rub is traditionally used on Kalbi Korean BBQ Ribs. For our recipe version, please click HERE. For your other Asian cooking needs, we carry our Asian Accents Blend, as well as Chinese Five Spice Powder, Red Thai Curry Powder and Green Thai Curry Powder. Contains: Brown Sugar, Korean Chile Pepper, Maple Sugar, Orange Peel, Soy Sauce Powder. 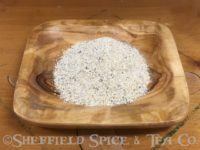 White Sesame Seeds, Black Sesame Seeds, Salt and Spices.